Get Ready! You Don't Want to Miss the "Brightest" Meteor Shower in Recorded Human History! Get Ready! You Don’t Want to Miss the “Brightest” Meteor Shower in Recorded Human History! A powerful, as in fact, this may be the brightest meteor shower is about to happen, and you don’t want to miss it! A meteor shower is a celestial event in which a number of meteors are observed to radiate, or originate, from one point in the night sky. These meteors are caused by streams of cosmic debris called meteoroids entering Earth’s atmosphere at extremely high speeds on parallel trajectories. Most meteors are smaller than a grain of sand, so almost all of them disintegrate and never hit the Earth’s surface. What’s even more exciting, a meteor shower is about to take place on 12th of August, 2017, but it’s not just a regular meteor shower. It will magically light up the sky, and some of them might be visible even during the daytime. You just don’t want to miss this! So called The Perseid meteor shower, a magical meteor shower occurs every year between July 17 and August 24. The shower tends to peak around August 9-13. It’s obvious that like all meteor showers, the Perseids meteor shower is the best to watch when the sky is the darkest. Astronomers propose that depending on the Moon’s phase, the best time to watch this magical shows is to view it right before dawn. 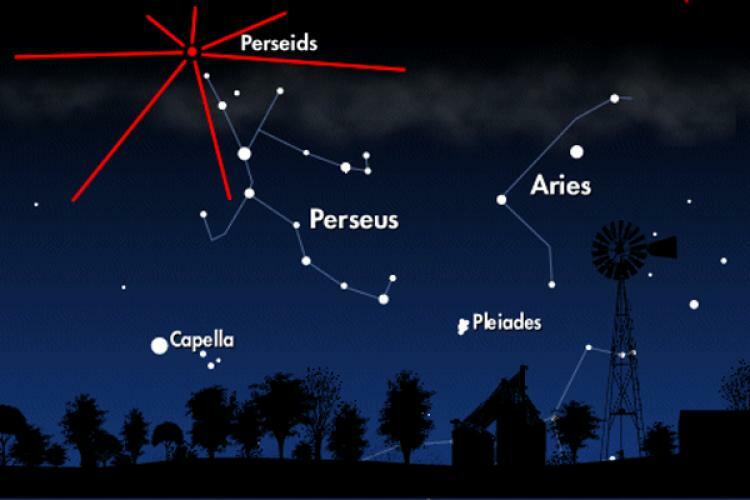 Where Can I See the Perseids? The Perseids can be seen in the Northern Hemisphere. Look between the radiant, which will be in the north-east part of the sky, and the zenith (the point in the sky directly above you). While you can easily see a shooting star with the naked eye just looking straight up, the table on Time and Date shows the exact direction of the Perseids from your location. Its going to be YOOOG!!! That much I can tell you. President Trump is making the entire solar system Great Again!!!!!!!! You just don’t want to miss this. Why? Because probably you won’t be alive in another 96 years to wait for the next one. So called The Perseid meteor shower, one of the brighter meteor showers of the year, occurs every year between July 17 and August 24. Maybe I’m not understanding but……one says one thing & the other says “every” year. Don’t get too excited as it could still be a dud. I lived in Seattle for years and the local media got caught up in the excitement only to be made fools when they reported it wrong. Just wait until Saturday and we will see if it will be a good one or not. It’s true that you don’t always see a great meteor shower. A lot of times it’s because of the atmosphere or the weather. I’ve gone off in search of a great place to watch them so many times and I’ve just come back disappointed. I did get to see a good one a number of years ago and it was so thrilling. So use a sunroof if you have it and sit in the car or put out a blanket and just lie down and relax and look up. You’ll need to bring your patience and someone to talk with! It will be so worth it if you’re able to catch a glimpse of this beautiful display. Take the kids and be patient! It is always a good one but you never know about it. And stop with the great and Trump references. I won’t be able to see this. Have cloudy skies, such a p.o.